Tied to Copenhagen by the Öresund Bridge, Malmö was Danish until the 16th century. Its role as a Hanseatic trading port in medieval times gives its architecture a Dutch feel in its curved and crow-stepped gables. The old town squares, Lilla Torg and Stortorget are car-free, photogenic and high-spirited in summer. 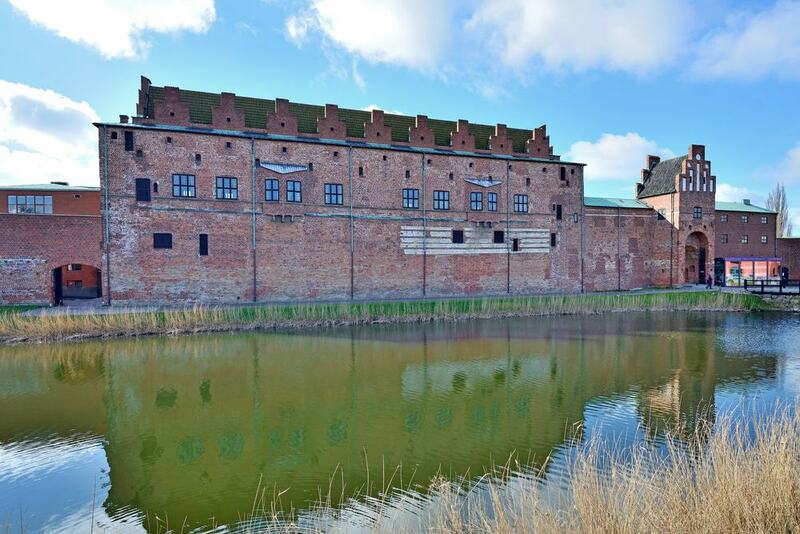 The castle, which was the seat of Danish Kings, now hosts an assortment of museums, and its grounds have become verdant parks beside moats and canals. Malmö is as green a city as you could hope to visit, and you’ll never be more than a short walk from the next spacious park. A trip to the castle, once an integral Danish stronghold, is something that last a whole day. This isn’t so much to do with the architecture of this Renaissance building as what you can do inside, as it has museums aplenty. There’s an aquarium/zoo, Malmö’s art museum, the City Museum and the Museum of Natural History. The choice of special exhibitions will suit all-comers, whether you’re into Finnish fashion, beer brewing or the Romans. Historians will be riveted by the history of this edifice which in its time has been a royal palace, mint and prison. Just next to the castle, a little removed from the main ensemble is Malmö’s technology and maritime museum. A great deal of this attraction is centred on transport and aviation, and budding engineers can inspect cross sections of machines, like the nose and cockpit of a Vickers Viscount. Above this there’s an entire floor given over to interactive experiments. Not for claustrophobes is the complete Swedish-built U3 submarine, launched in the Second World War. In this cramped vessel you’ll see where and how people slept, how the torpedoes were loaded, how food was prepared and even how the toilet functioned. If you’re eating out in Malmö chances are you’ll find yourself on this beautiful cobblestone square in the centre. When Lilla Torg comes to life in summer there are rows of restaurant and cafe terraces framed by the square’s historic buildings. Lilla Torg is the smaller neighbour to Stortorget, the main square, and was built a little later. Back in the 17th century this was a place for the city residents to buy groceries, with butcher shops and bakeries in temporary huts. On the western side are two half-timbered buildings from the first wave of proper construction in the 18th century. Also with a wooden frame, the Hedmanska Gården on the south side is from the 1590s and houses the Form/Design Center. 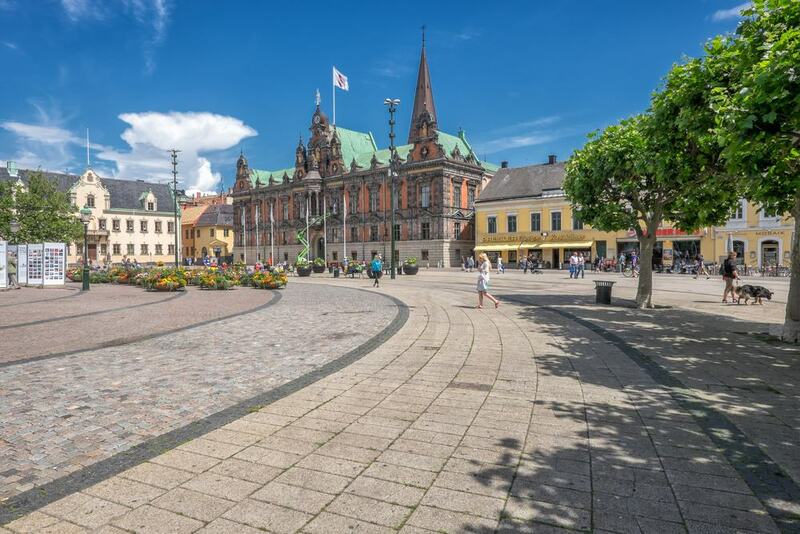 Next door, Malmö’s largest square is also its oldest, and was begun in the 1540s. Many of the city’s big administrative buildings are here, and the headline has to be the City Hall. With pediments, pilasters and curved gables this fabulous Dutch Renaissance Building dates to the square’s first years. Another listed government building is the Skåne County governor’s residence from the 1600s, with two pretty dormer windows and a fine gable at the centre of its facade. In the middle of Stortorget is a horseback statue of the 17th-century King Karl X Gustav, who reclaimed this province from Denmark. 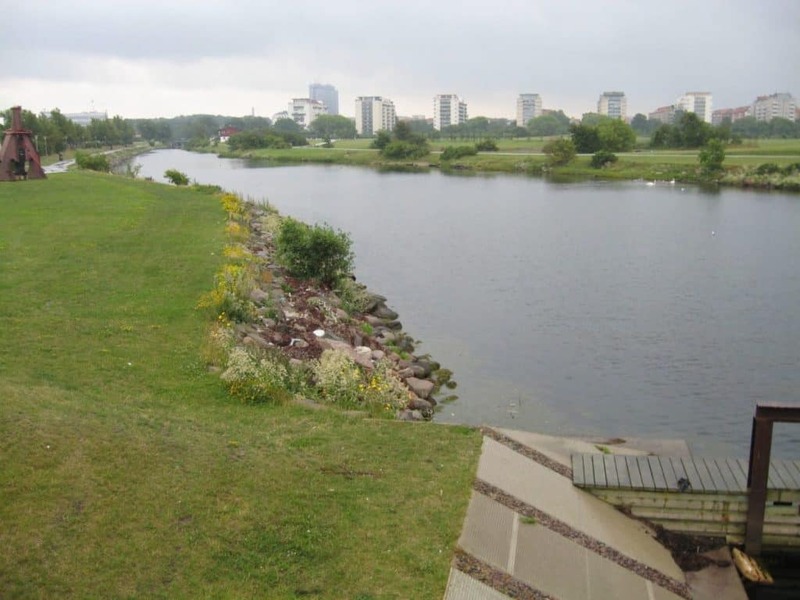 What will grab you about Malmö is the amount of green space in the middle of the city. This park is west and south of the castle, bordering the moat. Slottsträdgården is a relatively new initiative, rooted in organic cultivation methods and cyclical thinking. There’s a mosaic of themed flower and herb gardens, along with a kitchen garden that produces vegetables sold on site. The park puts on season events like a harvest festival, onion festival and the high-profile Malmö Flower Show, which happens in June. There’s also a sweet old windmill, and a cafe operated by volunteer staff, open all summer from the beginning of April. Separated from Slottsträdgården by the canal is Malmö’s oldest park, created in 1869-70. This land used to be part of the fortifications until the castle became obsolete as a defence and the space was turned into a Romantic English-style garden. The park is as peaceful as it is refined, with 120 tree species from three continents, an elegant central fountain and wide paved paths tracing the canal. Next to the fountain is the 19th-century grotto (Grottan), which was redesigned in the 1980s with a Norse mythological theme. 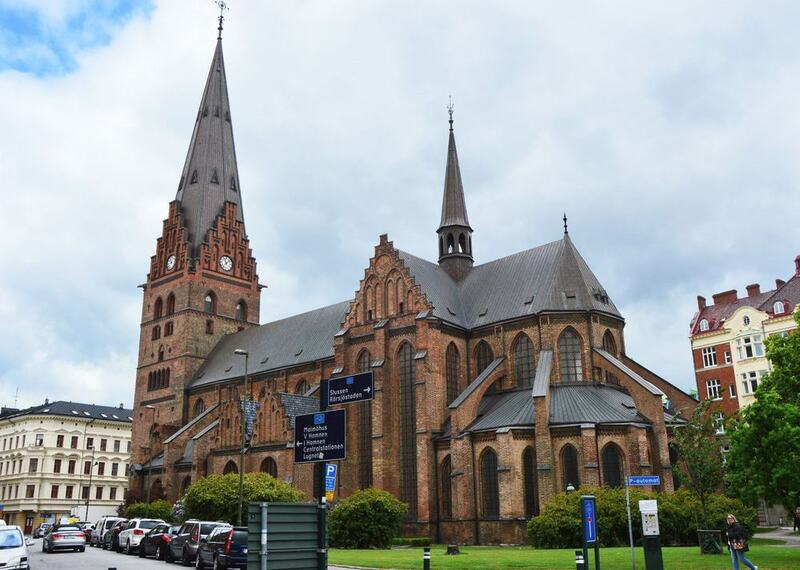 Malmö’s oldest building dates to the 14th century and has the Gothic lines shared by most Hanseatic churches. In the central nave, the high rib vaults are supported by narrow columns, and all the walls are whitewashed for an airy atmosphere. If you see only one piece of art it has to be the high altar, the largest wooden altar in Northern Europe and finished in 1611. Also see the baptismal font and pulpit, which were sculpted at the start of the 17th century. Make time for the Krämarekapellet (Merchants’ Chapel) to the north of the tower, which is from the 15th century, with limestone images on its exterior walls and original frescoes on its ceiling. 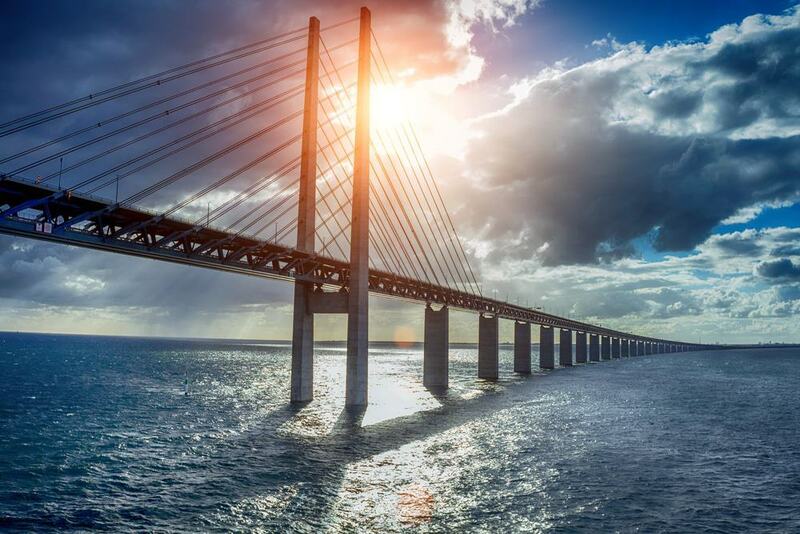 Anybody keen on megastructures will want to cross the Öresund Bridge, which forms part of a link between Sweden and Denmark across the Sound. This is the longest combined railway and road bridge in Europe, extending for just shy of eight kilometres to the man-made island of Peberholm. Here it transitions to a tunnel to complete the crossing to Copenhagen. The link took five years and €2.6 billion to complete, opening in 2000 and has a hefty toll of €54 for a single crossing. If you’re a fan of Scandinavian crime dramas you may want to come just to say you’ve seen the structure that starred in “The Bridge”. North to south from Stortorget to Gutav Adolfs Torg is the main shopping artery, and one of the city’s two oldest streets. 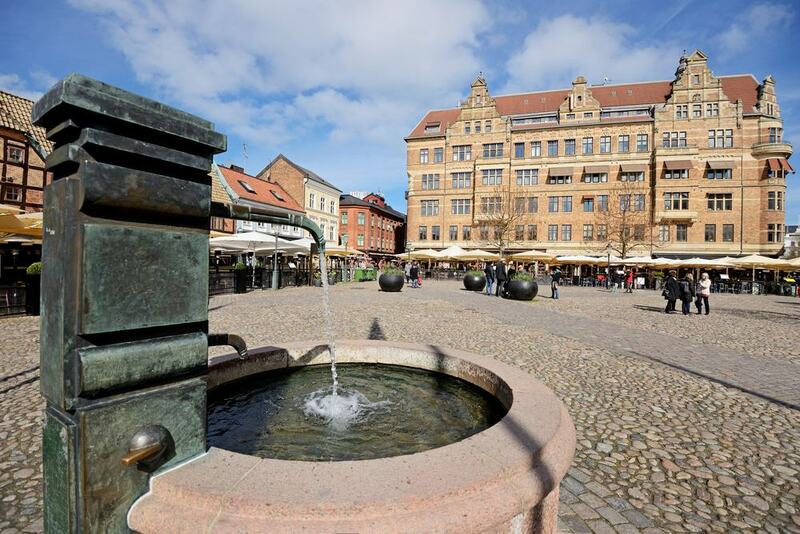 It predates all of the city squares, and in 1978 became Malmö’s first pedestrianised street. Visit for upmarket shopping, international high street brands and classic Swedish department stores like Åhléns City. 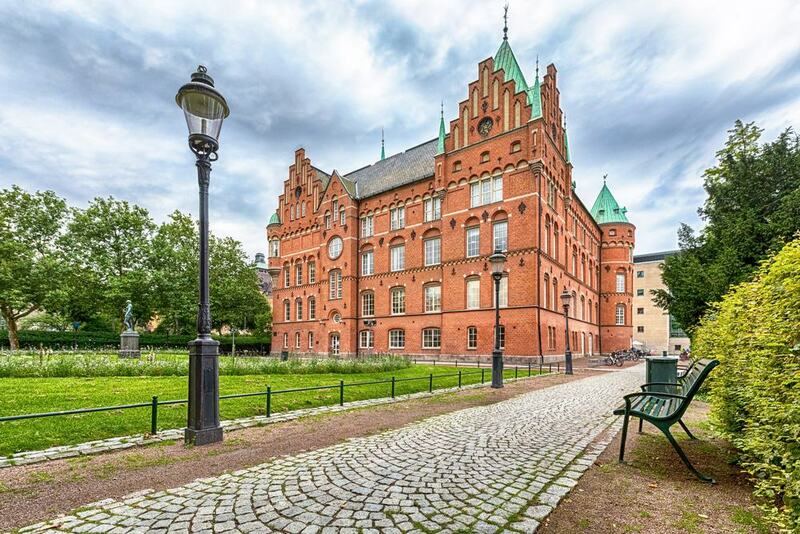 The street’s oldest building is the Flensburgska Huset from the 16th-century, easy to identify by its layer of white stone and red brick. 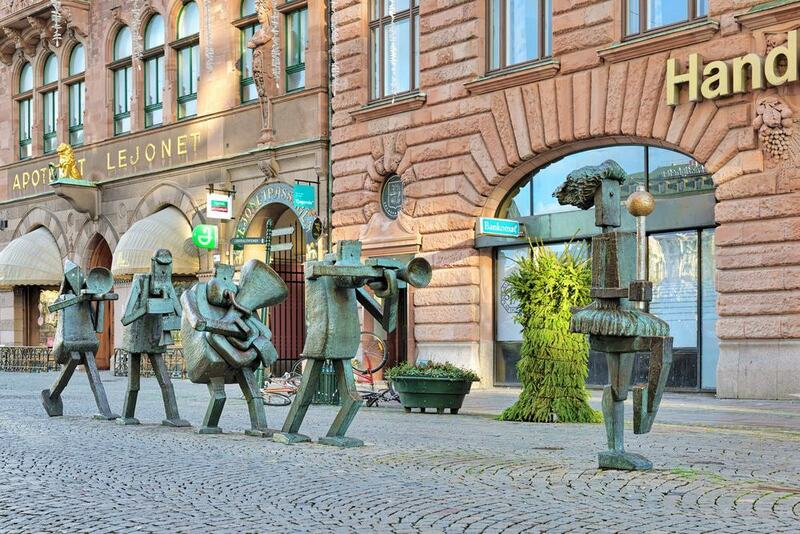 Also try not to bump into the Optimistorkestern (Optimist Orchestra), an abstract sculpture of a parade of musicians led by a drum major installed in 1985. The best way to approach the library is from the Kungsparken, to be greeted at Kung Oscars Väg by the marvellous Calendar of Light. This awesome glass wing was finished in 1997 and was composed by the acclaimed Danish architect Henning Larsen. Take a detour to see it illuminated at night. The older wing of the library is from the 1940s and has a crow-stepped gable and conical spire based on the Renaissance castles in the south of Sweden and Denmark. If you need somewhere for a couple of hours of seclusion on a wintry day the library has a wealth of English-language titles and newspapers. Later you could meet back up with your friends for fika at the library’s excellent cafe. Around a cobblestone courtyard on the southern edge of Lilla Torg is a space for exhibitions, lectures and workshops on architecture and design. 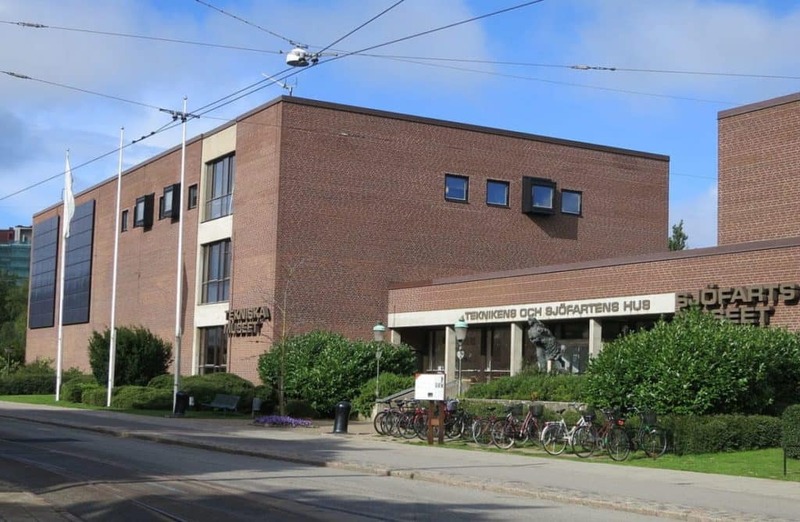 The centre is funded by the state, city and county, and was opened by King Gustav VI Adolf in 1964 and moved here to Hedmanska Gården ten years later. Over the last few decades it has staged more than 1,200 exhibitions, as part of its remit to promote sustainability and healthy living environments, and encourage creativity. The exhibitions deal with anything from fashion to pottery, and last for no more than a couple of months. There’s also a cafe at the centre and a shop with loads of ultra-cool Swedish design. West of the harbour, Västra Hamnen underwent redevelopment at the turn of the 2000s, revamping it as a modern and upmarket district with unconventional architecture and a waterfront promenade. 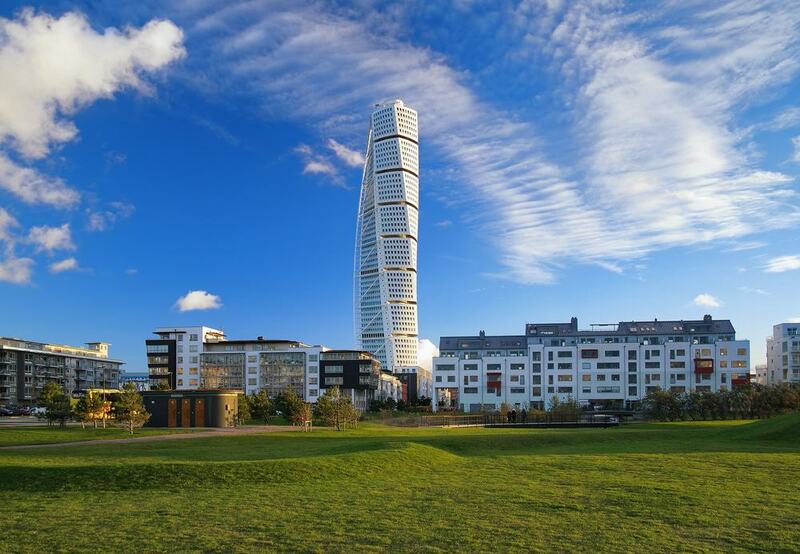 Part of the plan was to give the city’s skyline a memorable reference point, and the Turning Torso is exactly that. This unconventional tower was drawn up by the Spanish Neo-Futurist Santiago Calatrava, and as the name makes clear has a twisting format. At 190 metres Turning Torseo is the tallest skyscraper in Scandinavia, but because of its role as a residential and office space it’s a building to view from ground level as there’s no public access. 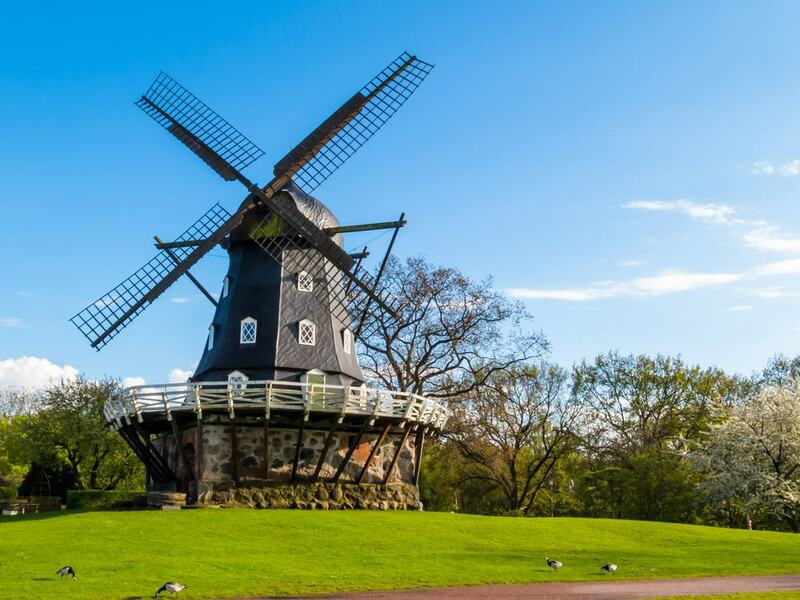 South of the centre of Malmö, this park in 45 hectares was designed for the 1914 Baltic Exhibition, which showed off the art, culture and industry of the nations around the Baltic Sea. Way before then t had been the site of the city’s water reservoirs, dammed back in the 1600s and planted with pines to add shelter. That water is still here, and left over from the exhibition is the Neoclassical Margareta pavilion, with a porch supported by Doric columns. There’s also a water tower in the park, which is very pretty when illuminated at night. The Tallriken though is something special: It’s a circular space for concerts and festivals, walled by trees that are cut back to right angles. Radiating from this circle are avenues through high canyons of carefully trimmed foliage. Often just called “Ribban” Malmö’s main beach is just down from the Turning Torso, and is patrolled by lifeguards in summer. The beach has fine pale sand that is replenished every couple of years. The shore is fringed by a long walking and cycling path, and within minutes of the Hylliekrokens Golfcenter, which has nine holes and a driving range. But what really lends the beach character is the Ribersborgs open-air bath at the end of a pier. This old-time structure is from the turn of the 20th century and is open in winter for some brisk ice swimming chased with a sauna session. In the hip and culturally diverse Möllevången neighbourhood to the south of the centre is another of Malmö’s popular parks. This one opened in 1906 and is one to keep in mind if you’re travelling with children. In summer there are movie screenings, fairground rides, an amusement arcade and adventure playgrounds, while a skating rink opens during the colder months. Music fans have a calendar of festivals and concerts to check out. 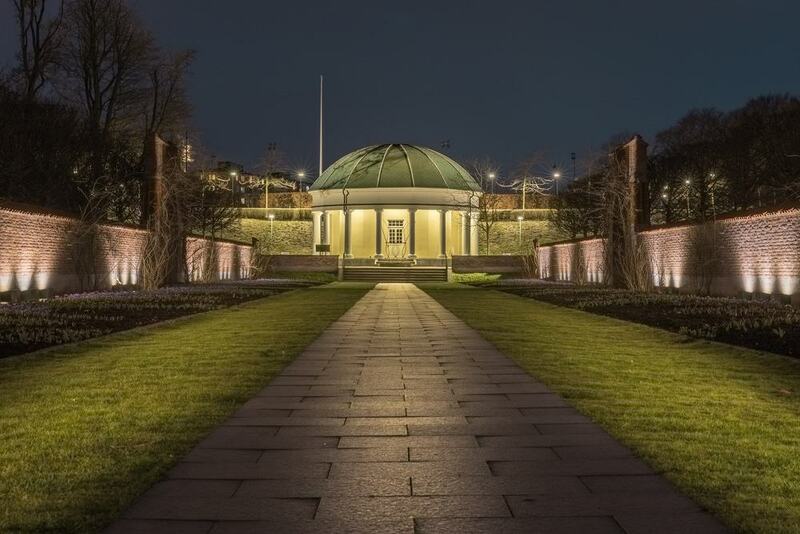 And you won’t help but notice the domes of the Moorish-style pavilion (Moriskan), which is one of Malmö’s top live music venues and nightspots.